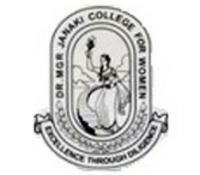 There are no hostel facilities at Dr. MGR Janaki College of Arts and Science for Women. The college is located in the heart of the city of Chennai at Raja Annamalai Puram, near Adyar. This centrally located campus, with all its well maintained sylvan gardens and inspiring ambience is well connected by innumerable buses that touch the Sathya Studios bus stop from all parts of the city. Apart from being in the proximity of famed institutions like the Indian Institute of Technology, Central Leather Research Institute, Anna University, Fortis Malar Hospitals, Kalashetra, PGIMS, Dr.Dharmambal Government Polytechnic for Women, Tamil Nadu Government Music College, Cancer Institute, The Voluntary Health Services, Theosophical Society, M.S.Swaminathan Research Foundation, Tamil Nadu Dr.Ambedkar Law University,Tamil Nadu Judicial Academy, Andhra Mahila Sabha, Dr.Durgabai Deshmuk Hospitals, Hotel Raj Palace Sunder etc. all facilities like shops, post offices and banks are within a walking distance.